The wheels are probably the most visible part of a car. Regardless of how well you have maintained your car, the tires remain to be very wanting. No matter how much you spend on cleaning the tires, it doesn’t make sense if they don’t shine. There are several brands of tire shine products. But, a good tire dressing should offer more than a shine. They are meant to provide a satin finish and protection. Remember, a good tire dressing or shine should withstand harsh conditions. It should help prevent fading, cracking, drying and also give an excellent look. There are countless products available on the current market. Looking for one that will solve all your wheel-cleaning needs can seem to be a daunting task. After countless reviews, we have narrowed our search to top 5 best wheel and tire cleaners to buy in 2017. These products are extremely effective, environmentally friendly, and affordable. TriNova’s Wheel Cleaning Gel is a premium spray that will give your dirty wheels their original shine back by melting away dirt and grime that accumulates from things like brake dust and oil residue. 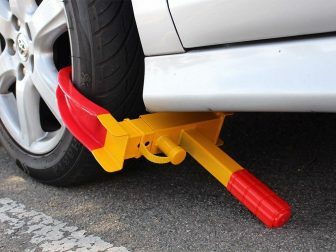 This spray even works to fight against snow and salt that can ruin the appearance of your wheels in the wintertime. You can instantly regain the original color of your tires after you use the car rim cleaner. The wheel cleaner has a great formulation, which makes it a great addition to your car washing detergents. This spray is completely acid-free, which means you won’t have to worry about any long-term damage being caused to your wheels just to get the cleaning you want. 4. Mothers 05924 Foaming Wheel & Tire Cleaner – 24 oz. 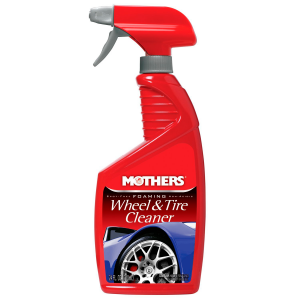 Mothers Wheel & Tire Cleaner is a foaming, non-acidic spray, formulated to quickly and easily clean both wheels and tires. 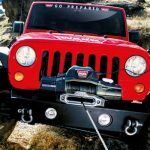 Its spray on, hose off design safely penetrates, dissolves and suspends all types of brake dust, grease, dirt, and grime, making rinsing a snap. Its unique spot-free rinse leaves wheels perfectly clean, with no need to hand dry. For use on factory/OEM coated wheels and hubcaps only. Avoid polished or roughcast aluminum, billet or anodized wheels. Do not use on motorcycle wheels, casings or components. This product is safe for painted, clear coated, chrome, color coated, or factory coated wheels and hubcaps. Mothers Foaming Wheel & Tire Cleaner works really well in taking any grime build up. You should follow the provided instructions for best results. 3. Armor All 78011 Extreme Wheel and Tire Cleaner – 32 oz. If you are looking for a powerful wheel cleaner, then this is it. Clean, shiny wheels reflect just how much you care about your car. 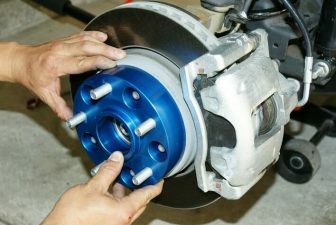 Your wheels are constantly under assault by grease, road grime and brake dust that gets baked on during the intense heat of driving conditions. It is acid-free, meaning that it poses no danger to your rims. The Triple-Action Formula is specifically formulated to attack all three – grease, road grime, and brake dust — dissolving them to reveal your beautiful, shiny rims. Do not be alarmed when your cleaner turns from clear to a darker color after application. This happens when it begins to loosen brake dust and dirt from wheel surface. You will be amazed at just how shiny and brand new your wheels will look after a short time of scrubbing them. If you want long-lasting spotless rims, then give CarGuys wheel cleaner a shot. This solvent has no harsh acids as it is acid-free. It helps clean off smudges, brake dust, grease, and grime. This item is specially designed to clean and protect your wheels from harmful salt and grime. It eliminates hard scrubbing and keeps rims in excellent condition. 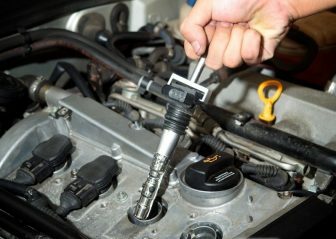 Any stubborn brake dust or grime will be instantly removed and dissolved once you spray CarGuys solution onto your tires. Overall, this item gives a professional finish to your rims and makes it shine brighter for longer. CarGuys solution can be used for motorcycle wheel cleaning needs as well. Besides, if you are not satisfied for any reason at all, it guarantees you of 100% money back. 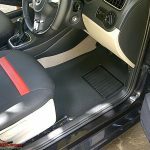 This is the product that will generate a perfect shine on your car tires. 1. Meguiar’s Hot Rims All Wheel Cleaner. 24 oz. 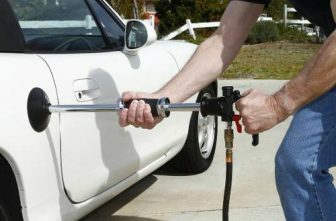 Meguiar’s is a solid company and has been in the car care industry for a long time. 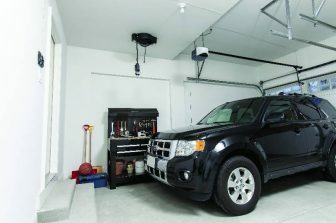 They are well-known and popular with both regular car users and professionals. 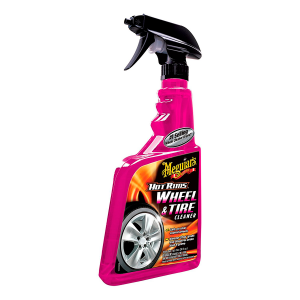 Meguiar’s Hot Rims All Wheel and Tire Cleaner is designed to be safe on all clear coated wheels and wash grime with ease, leaving behind not only clean wheels, but clean tire sidewalls as well. It is very strong and works incredibly fast. Your rims will be sparkling within no time – but remember that you will need to do a bit light scrubbing for best results. 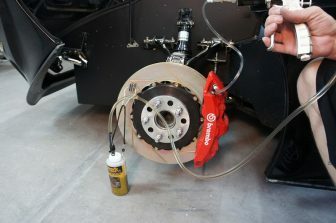 What’s more, this unique product is safe to use on all factory coated wheels, taking the stress of finding the right wheel cleaner out of the equation. This cleaner is definitely the best in our review, and we highly recommend buying it! We all want to cruise around in a shiny and clean car with spotless rims. Wheel-cleaners make our jobs easier. 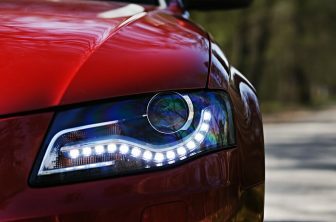 They weaken any grime on your rims, making it easier for you to simply wipe off your tires for a shiny and spotless look. 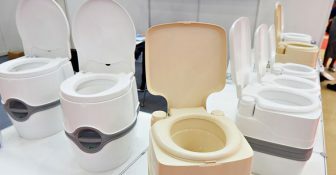 But as we all know, shopping for a solution can be downright confusing; especially with new products being introduced into the market every other day. You need the best wheel and tire cleaner so that your car will always shine. Tires and wheels are close to the ground where they catch mud and dust more than other parts of your vehicle. You need to invest in the right wheel cleaner so that you can always keep your car clean. You can check out wheel cleaner reviews from where you will get to know different types of wheel cleaners available. The cleaners available vary in price and quality. You should assess different cleaners so that you can decide on the best. Instructions do vary from brand to brand so be sure to read instructions provided for greater performance. So do not hesitate, purchase a wheel and tire cleaner today!